795. 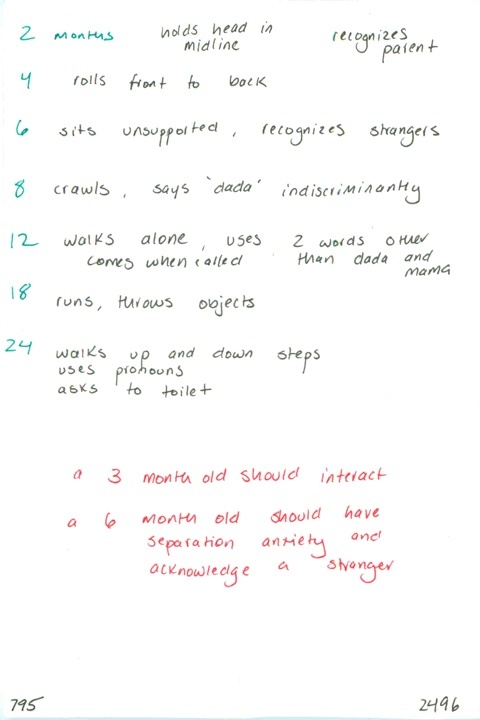 Developmental milestones – 2, 4, 6, 8, 12, 18, 24 months // When should an infant interact? When should an infant have separation anxiety?